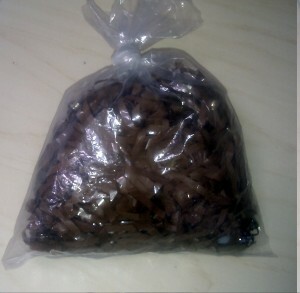 We often get sent Digital Audio Tapes or DAT’s for transfer to .WAV computer files. As these recordings are already digital or ‘born digital’ the process should be straightforward. Our audio interface cards accept the SPDIF or AES digital audio stream from the DAT machine and record this as a WAV or BWAV file. This file can then be burnt as a CD or delivered digitally on a hard drive or removable media. The big problems though come with the tape that these digital recordings are made on. The tape is only 3.81 mm wide and moves at a very slow 8.15 mm/sec. The tape is also very thin at 13 microns. The recording system and transport used is helical scan just like in video recording but with the very slow tape speed and small tape dimensions any defects or problems with the tape can result in many errors which may not be correctable by the error correcting system of the DAT machine. One problem we’re starting to see more and more are tapes that snap. 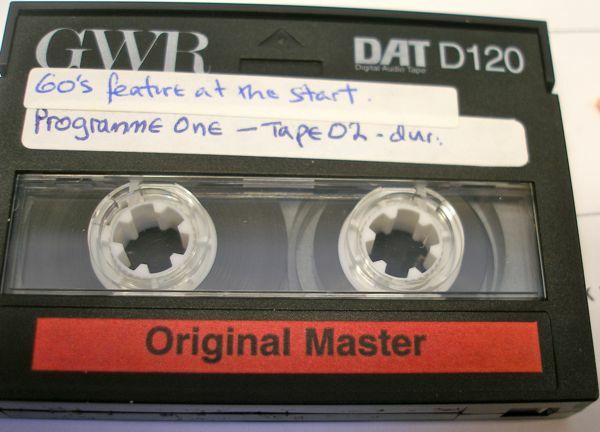 The tape pictured above was a D120 which was never recommended by the DAT machine manufacturers but was still often used for it’s extended recording time. This tape snapped without warning a quarter of the way through the recording. There were no outward signs or potential problems just a sudden clean break on a diagonal. To recover this tape it could have been spliced with splicing tape of the correct width like in analogue recording but there is a high risk if not done perfectly of unrepairable damage to heads on the drum. Even with this type of repair some of the material would have been lost. A safer solution is to rehouse each spool in another shell this lets you recover as much as possible from the tape without the risk of head damage. You can now carefully lift both halves of the DAT shell apart, making a note of the tape path inside the shell. Be careful not to touch the tape with your bare skin as fingermarks and grease can cause head to tape contact problems and audio errors and dropouts. We have several of these large, wonderful machines. It’s not often we need or want to get involved in DAT repair as generally they are not easy to service machines and many key transport parts are becoming unavailable. The Sony 7030 DAT though has been designed with easy servicing in mind. There’s alot of room in these things and each section is clearly marked and separated into distinct boards much like Sony Broadcast video machines. 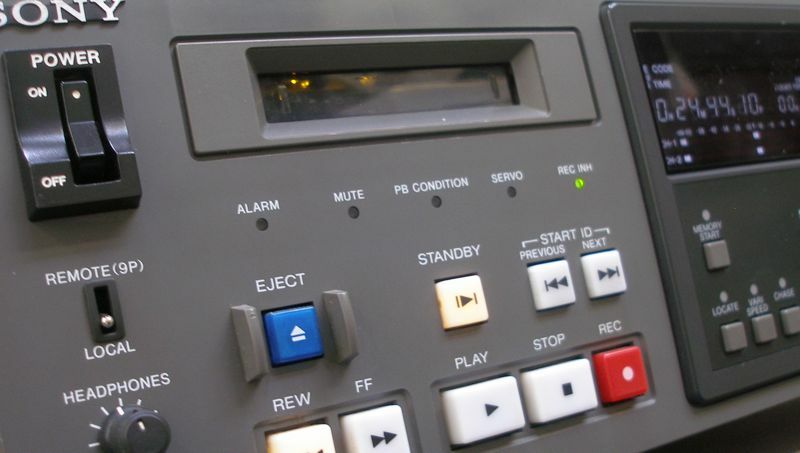 These are timecode DAT machines and were once common in video post production houses and the more well funded recording studios. The problem with some of this well built kit though is exactly that it works too well and gets left on for long periods through it’s life and this can take a toll on certain components, especially electrolytic capacitors. Heat builds up in electronic circuits, especially in switch mode power supplies that larger broadcast items often use. Capacitors have a rated life at 85°C or 105°C at several thousand hours. With hotter environments, substandard parts and long operating hours these capacitors can soon outlive their original design life. Our 7030 DAT had started behaving oddly and at first the display would flash on and off after a short while powered on. Another machine would power up for 30 secs then just die. Before delving into the enormous service volumes it’s always worth replacing the Switch Mode Power Supplies (SMPS). These like many broadcast machines use supplies that are sometimes generic made by other companies and which can be bought at Farnell or RS. We did it the harder was and desoldered all the old capacitors in the power supply and replaced these with high quality low ESR Panasonic ones which should give us another 6000 hours of running time. So far this machine has worked perfectly although you do need good soldering and desoldering technique on these boards. A powered air desoldering station is a good idea, much, much better than a hand solder pump. We have recently worked on probably the worst looking tapes but with some of the best sounding music recordings we’ve seen for a while! A batch of 10.5″ NAB studio masters had bad tape mould growth. 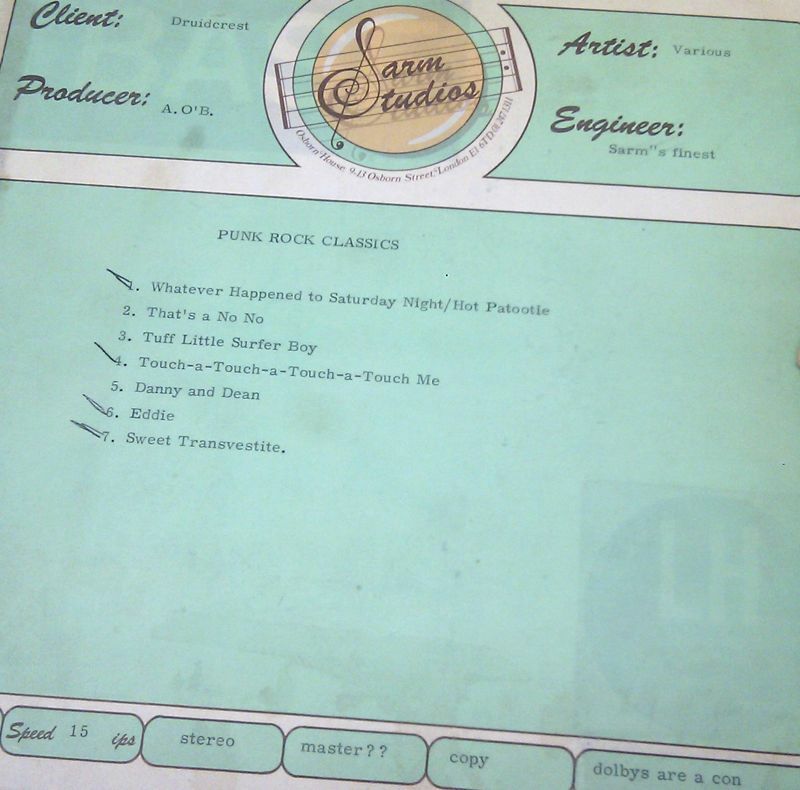 Andy Leighton, owner of Bolex Brothers and music publisher of the Rocky Horror Show, found a batch of studio masters on quarter inch tape that had been growing mould for some of them over 30 years. 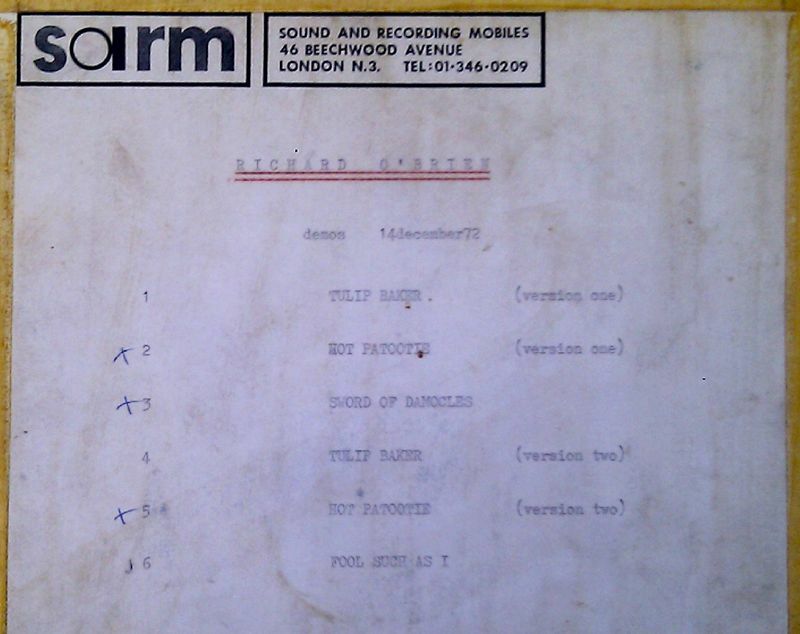 All of these recordings had been made at the renowned Sound and Recording Mobile studios better known as SARM, later creative home of Trevor Horn. 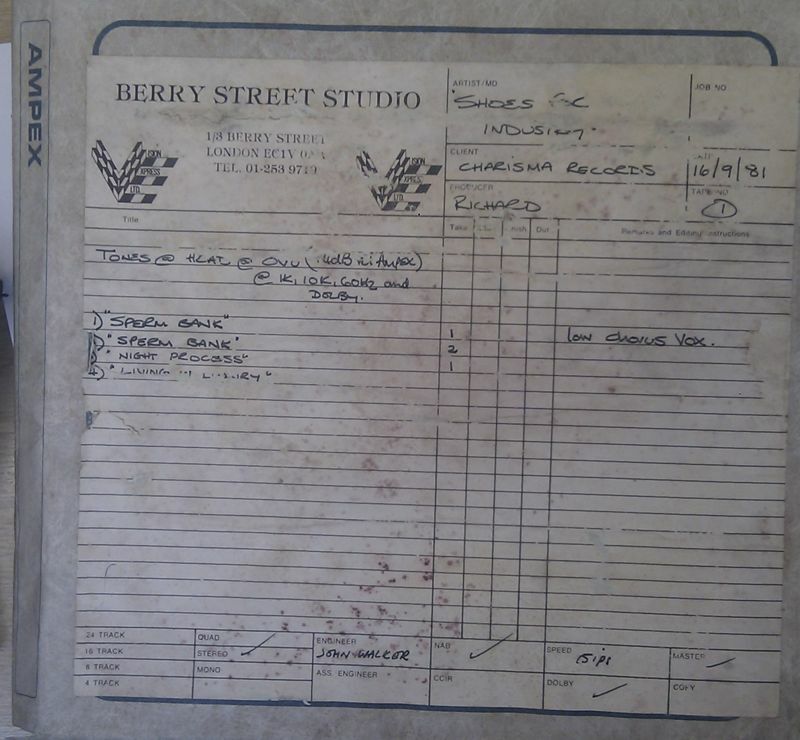 Among these tapes was the first ever recording made at SARM in 1972 by Richard o’Brien, writer of the Rocky Horror Show, in addition to rare tracks by artists such as Kimi and Ritz. 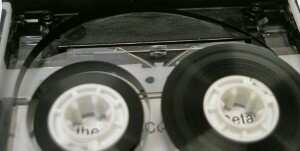 When the tape mould was finally cleaned from the tapes and some of them baked for binder hydrolysis the quality of the recordings was very high and testament to the high quality available from analogue recording and even though tape can be vulnerable to physical problems it is also robust. If these had been tape based digital recordings, in the same condition, I doubt we’d have been able to achieve the same results. Once a common sight in Radio stations around the world, the NAB Cartridge machine or Fidelipac was used for short jingles and announcements, sometimes even for longer recordings. Using a similar sized cartridge to a domestic 8 track machine the NAB cartridge was different in that the pinch roller was not in the cartridge but would hinge up in the player and hold the tape against the capstan. Running at 7.5 inches per second (ips) compared to 3.75 ips in domestic cart machines the recording and reproduction quality good be very good but it was the ease of use and cueing ability offered by these machines that made them so useful in broadcasting. We have Sonifex cart machines that while very well built do have rubber parts that will degrade over time and reduce the transport performance. Luckily we have some of the last remaining stock of new pinch rollers, motors and capstan drive belts. 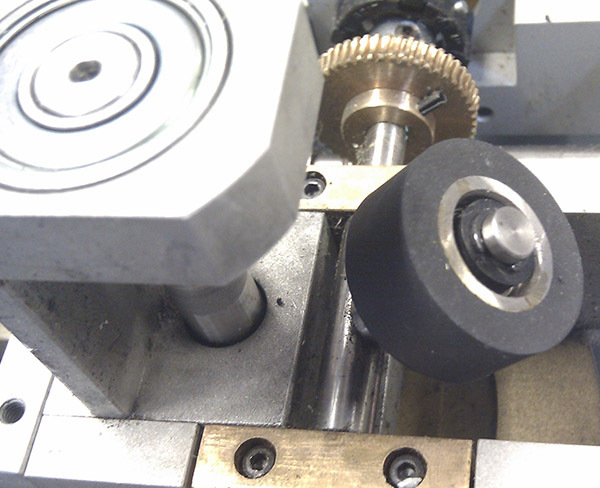 The pinch roller in one of our machines had become quite hard and the rubber shiney over time. 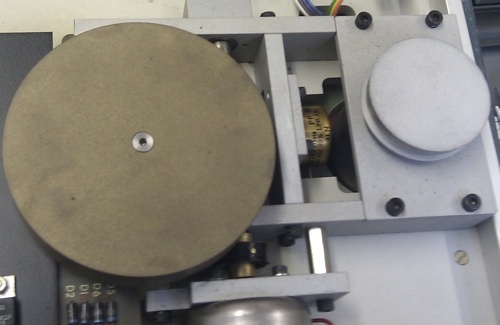 A pinch roller in this state may not hold the tape as securely and could also have flat spots both leading to increased wow and flutter and poor tape handling. 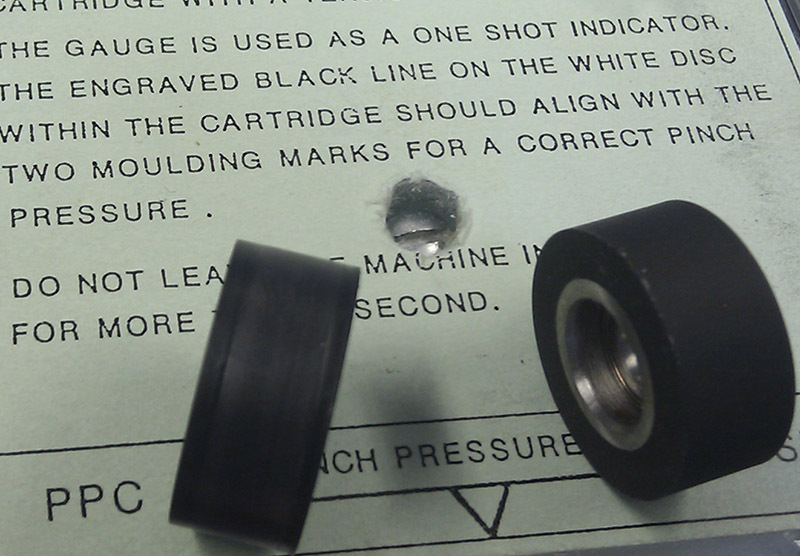 These pinch rollers also have high quality cartridge bearings pressed into their shell. Over time these loose their lubrication, wear, become rough feeling and will also add to poor tape handling. Older, fragile and valuable tape must be handled and used carefully. A ‘chewed’ tape caused by a poorly maintained tape transport in any tape machine, audio or video is a disaster and hard to recover from perfectly. Both halves of the cart machine case need to be removed to easily change the pinch roller. While the access is good and the machine, in this case a Sonifex microHS, had been designed for easy servicing the pinch roller is still a little fiddly to get to so I removed the transport from the main chassis. To remove the pinch roller a small slightly hidden C clip must be removed you can see in the image above the slot machined into the roller shaft where it sits and holds the roller. This is hard to remove as the plastic bush on top of the roller stops you getting a small screwdriver in. I managed to remove the C clip with some fine circlip pliers. Be careful not to loose the clip if you don’t have spares, they fly away very easily! Now the new roller can be placed on the shaft. It’s a good idea once all the transport is out to give everything a good clean with IPA. On this machine, the castan drive belt was quite slack so a new one was fitted, which is easy now the transport is removed. First though the capstan flywheel and motor pulley were cleaned of all the old rubber belt residue that tends to accumulate over time. The last thing to do is check the pinch roller pressure. 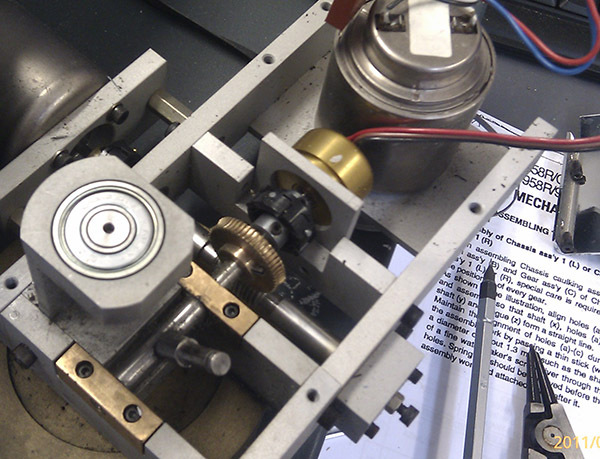 This is important to as to high or too low will increase wow and flutter, increase wear to the bearings and capstan surface and give poor tape handling. Due to the design of these NAB cart machines, the pinch pressure needs to be checked with a special cartridge. The pinch pressure is then adjusted from a screw pot on the top PCB seen outlined below in green. That’s it, time to play carts again. A documentary we transferred and created DVD access copies for its director recently. He only had a VHS copy of the 8mm original unfortunately but it’s still a great piece of history about St Pauls, the St Pauls Carnival and Bristol. We’re very happy to be working with Mike Wright and the Archive for Mathematical Sciences and Philosophy on a large scale and ongoing transfer, restoration and online management programme. We have several time base correctors and frame synchronisers at our disposal. One recent addition is a new old stock (NOS) CEL Tetra. This is an early 1990’s motion adaptive Standards Converter for PAL, SECAM, NTSC 3.58 and NTSC 4.43 systems. A very flexible unit with composite, Y/C (S-Video), umatic DUB High Band/Low Band and component inputs and outputs. Out unit still has it’s shipping caps over the BNC sockets and looks unused but after 5 minutes of power a cloud of white smoke billowed out of the cooling fan accompanied by a pungent smell. The Shaffner EMI mains filter had a nasty, sticky brown residue leaky out and all around the back of it. This is the second TBC that I’ve had this happen to. I’d assumed these units get left on for long periods when used in broadcast applications which would hasten their demise. According to their website, the mean time between failures (MTBF) of their recent products is around 2,000,000 hours! Our CEL TBC doesn’t look like it’s done more than 30 minutes so maybe there’s been some dodgy electrolytic fluid in these units just like the motherboard capacitor problems between 2000 and 2003. We often receive enquiries about audio and video tape that is not in the best condition having been stored in humid conditions, suffering from binder hydrolysis (sticky shed) or not wound on it’s reel well but we were surprised when we received this tape recently. It literally is a bag of tape! 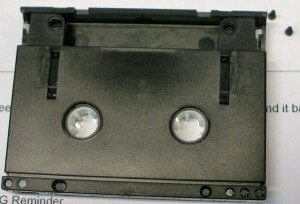 It is a cassette tape that had at some point become unspooled, probably when the cassette shell was opened for a repair. We can and did restore the tape by respooling and reshelling before playing on one of our Nakamichi dual capstan cassette decks. This is a time consuming job though as thin tape twists, turns and crinkles up very easily needing careful tension, customised winding systems and protection from contaminants such as dust, grease, etc that could cause more damage to an already compromised recording.